The latest beauty craze in the US is going to seduce the makeup expert in you. 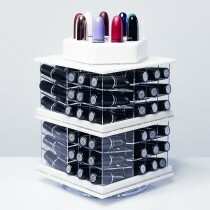 This lipstick tower organizer can hold up to a maximum of 81 different colours. From glossy to matte, you can arrange your lipsticks by finish, colour or by brand. Lay out your lipsticks in a way that you can find your favourite shade in a jiffy or in a single glance. 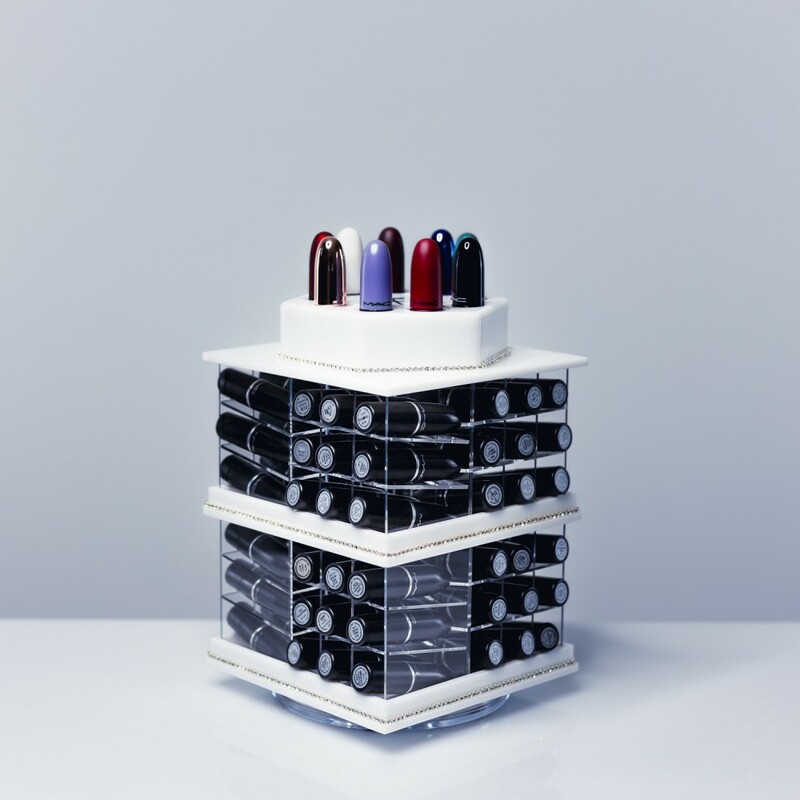 Forget about being late in the mornings because you can't find the lipstick that you'd like to wear. The other great thing about this tower is that you don't have to waste money buying two of the same lipstick simply because you don’t have an overview or control of your collection. Thanks to this practical and beautiful accessory, this won't happen again because you can immediately see what you have. 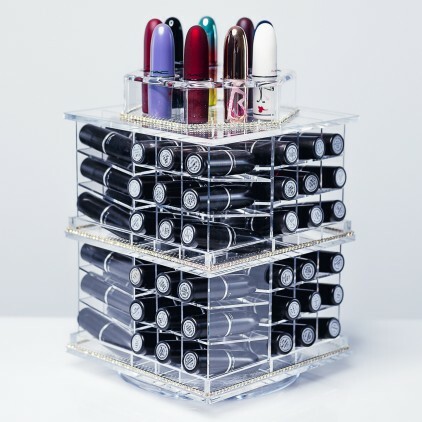 This makeup organizer is made from a premium quality acrylic base and adorned with or without rhinestones. 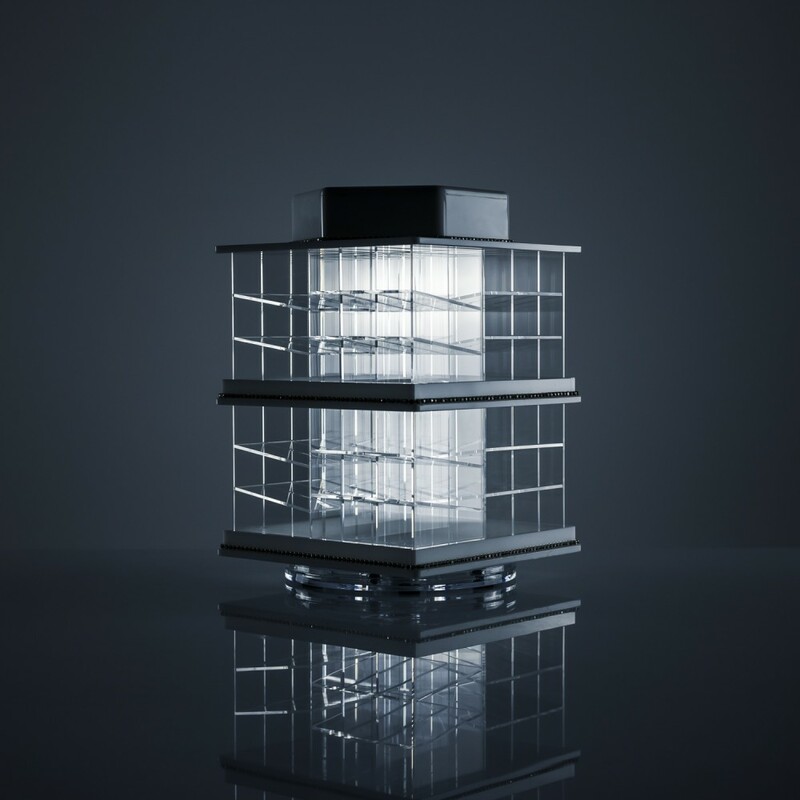 It is not only functional but can also decorate your beauty and makeup space. 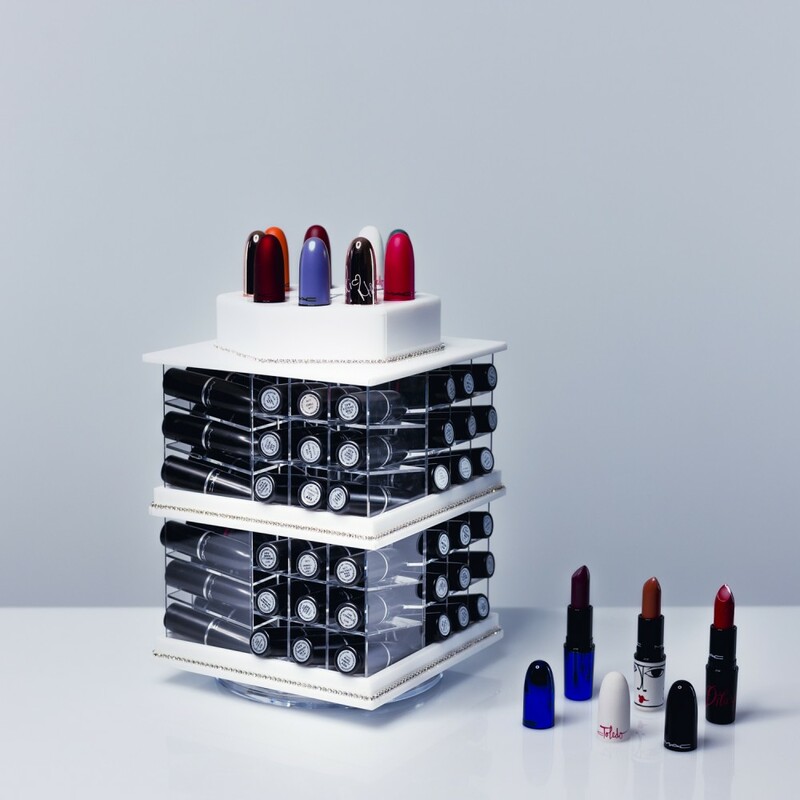 The tower can rotate making it easy to hunt the lipstick that you need or want. Measuring 175mm*170mm*235mm, this product is compact and will not take up a lot of space on your dresser. Get one now!